4 Strangest Weapons in History! Some of the greatest innovations throughout the human history have been made in the military field. Here is a quick rundown of 4 strangest and most exceptional handheld weapons ever devised in our history. 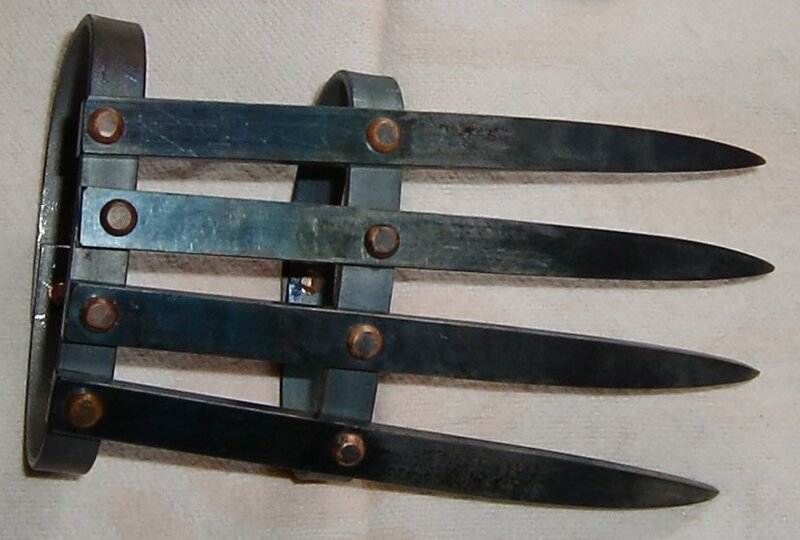 Originally from India(Bagh Nakha), these handheld wolverine-like weapons became especially famous for their use in medieval Japan. The word Tekagi(abbreviation of Tekko-kagi), comes from two Japanese words, “Te”, meaning “hand”, and “Kagi” meaning shadow. They were mostly used by Japanese ninjas for self-defense, against sword wielding opponents. Their design was well-suited for blocking or trapping enemy swords, effectively disarming them, and could be quickly used for devastating offensive attacks too. Typically made from aluminum, steel, iron or hard wood, Tekko-kagi claws were mainly used in Okinawa. Also known as Japanese war fans, the tessens were mostly used by female ninjas in feudal Japan. Disguised as ordinary, harmless folding fans, they were actually made from razor-sharp steel, and often used as surprise-weapons. Many medieval samurai swordsmanship schools also included training in the use of the war fans. Ninjas and samurai often used the tessen as a signalling device, but it could be also used for deflecting arrows and poisonous darts, as a dangerous throwing weapon, and also for swimming aid. Originally developed in Nagoya, the martial art of fighting with war fans is known as tessenjutsu. This iconic circular throwing weapon was originally invented in ancient India. It is also known as chalikar, meaning ”circle”. Earliest mention of the chakram comes from the Indian epic Mahabharata, where it is the weapon of the gods Vishnu and Krishna. In the later ages, it was extensively used by the Sikhs. Chakram are traditionally crafted from steel, iron or brass, which is beaten into a circular shape, with razor-sharp outer edges. They range in size from 4.5 to 12 inches(12-30 cm), usually being around 8 inches(20 cm) in diameter. Indian warlords often transported large amount of these weapons on their tall conical turbans. Chakram could be also used as a melee weapon in close combat, to slice enemy’s throat, or cut off his arm. Similar close combat weapons, called wind-and-fire wheels were used in ancient China. The Urumi is probably one of the most dangerous melee weapons in the entire history of weapons, not only for enemies, but also for the wielder himself. It originated in southern states of India, being known as far back as the Mauryan Empire. It is a very flexible longsword, usually made from steel or brass, 48–66 inches(122-168 cm) long, often treated as a metal whip. 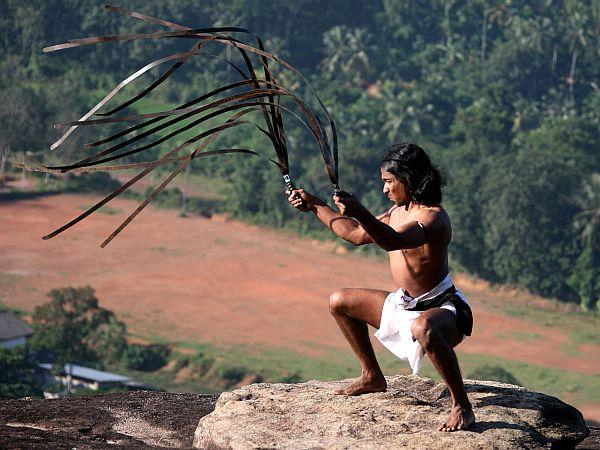 Urumi is often composed of multiple blades, attached to a single handle, in some variants used mainly in Sri Lanka the number of blades could be more than 30. In the combat, warriors usually handle the urumi as a whip, swinging and spinning it around. This makes it especially efficient against multitude of enemies. While not being used, it is often worn as a belt, coiled around warrior’s waist. In the medieval India, only the most well-trained Rajput warriors were allowed to practice with this whip-like sword, requiring perfect coordination, concentration and agility. Although not capable of slicing through armor, wounds inflicted from the swinging urumi could be often fatal. Did the Aborigines Really Invent the Boomerang? According to available evidence, Australian aboriginal tribes weren’t the only ones in history to ever invent and use a boomerang. 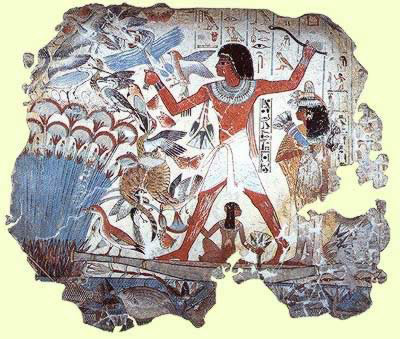 Boomerangs were already in use by ancient Egyptians about 4000 years ago, as a hunting weapon. In the same manner, they were also used by a number of indian tribes in North America(mainly Navajo). Contrary to popular belief, primary advantage of the boomerang is actually not the well-known ability to return back to the thrower, but that the boomerangs usually fly much further when compared to straight, conventional pieces of wood. Most of the returning boomerangs were used just for practising, ”true” boomerangs used for hunting were never designed to return back to the thrower. Little Known Fact: If boomerangs always returned back, Australian army in the First World War would probably think twice before using boomerangs equipped with hand grenades in combat. You can still see some of these in the Australian Army Infantry Museum, Singleton.